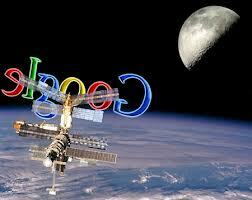 Google has paid few million dollars for the satellite system to pinpoint vessels' positions. "These things cost 3 million dollars for the whole program. Google has talked to representatives of 50 navies all over the world about their new system and has discovered it tracks vessels better than their own commanders might. While none of this makes Google an intelligence representation, it certainly highlights a trend of big interest to the intelligence community and the military and maritime authorities. Like its incipient project to map the ocean floor, the new technology of Google to track vessels on the surface gets advantage of prior investments by others. In this case, it's the Maritime Automatic Identification System, known as AIS, which is a system of transponders installed in all legitimate seagoing ships which periodically send their position to avoid collisions even when the crew members can not physically see each other due to darkness or heavy weather. While the vessel tracking maps are very interesting, this isn't a new technology although Google has obviously enhanced it. Google's involvement is going to mean, of course, that virtually anyone in the world might access the information. Still, there are very clear limits to the technology. Most important, any vessel might turn off its transmitter, meaning that Google's tool likely does not pose any threat to critical military operations. As an intelligence source noted, the shipping data of Google faces important limits. "It's not the vessels you might see, but the vessels you can not see that matter," this source also told about the Google Satellite AIS ship tracking.